Cafe Ancora is located right on the Venetian Harbour at Rethymno with wonderful views of the old harbour and its Venetian lighthouse. 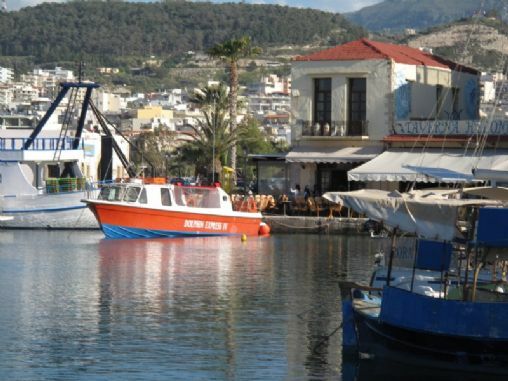 Sit and enjoy the ambience of this beautiful part of old Rethymno with its colourful traditional buildings, small yachts and boats in the harbour and watch the world go by with a freshly prepared orange juice, cool Mythos beer or a tasty ice cream treat or snack. Have fun feeding the fish in the harbour without having to move from your chair. The harbour is alive with fish of all sizes.